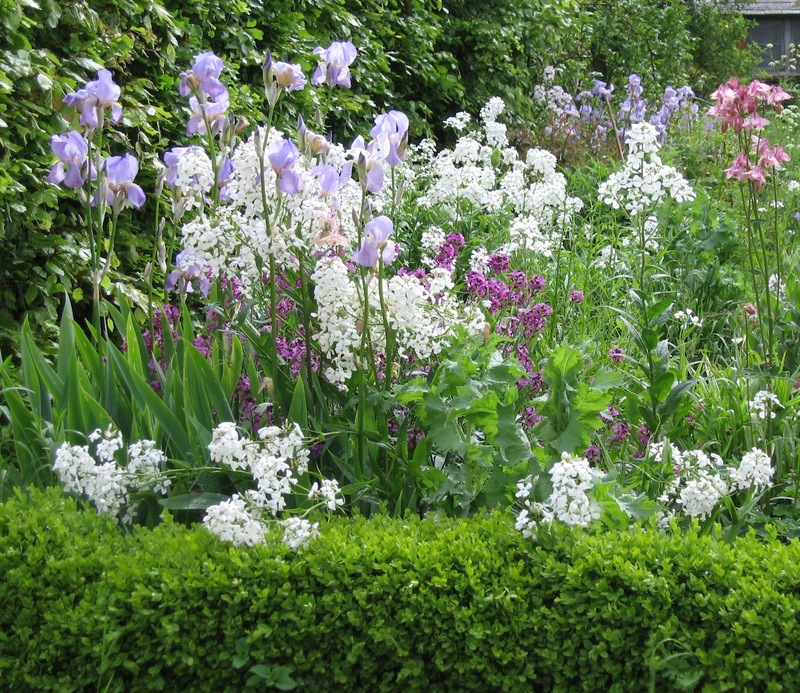 This entry was posted in Gardening and tagged herbaceous border, iris Jane Phillips, late spring flowers, sweet rocket. Bookmark the permalink. What an absolutely gorgeous bed. To my eye, spring gardens are always the most beautiful. What kind of plant did you have that died during the winter? Thank you Vicki; it is a lovely view to have from a kitchen window! There were 3 different types of plant in that area which failed to survive through the constant cold and wet; a clump of ornamental onions (allium aflatunense), a perennial wallflower (erysimum; my fault, I should have taken some cuttings as these do tend to flower themselves to death after a few years anyway) and a more unusual plant called Incarvillea delavayi, all of which would be flowering by late May in that fairly sheltered, sunny part of the garden. I live in woods with sandy soil and I’m always looking for flowers that will thrive in poor conditions. I will have to check out the perennial wallflower and see if it is a candidate. Thanks and happy gardening! I suppose it is now unusual for one person to look after a garden for such a long time; I’d be happy to write a post about how the garden has changed during my time as its caretaker. I wish I could get my garden to look like yours. It is beautiful. Alas, I do not have a green thumb, and the little grubs eat the roots of things I do plant. Time for grub food! Thank you very much for giving me the Sunshine Award. I’m so pleased that my photos bring you sunshine; your cat pictures have the same effect on me. Not everything in my garden is beautiful! One day I shall post photos of the mole hills, or, perhaps, the dying vegetable plants whose young roots have been decimated by the tunnelling. Gardening can be heart-breaking as well as back-breaking but working in my garden is always therapeutic. Beautiful flowers! The colors look so nice together. I think I have the same purple iris, but mine never stay up straight like that! This is one of the more sheltered areas but, even so, the wind does still get in and I am always surprised that these iris stand so straight. Beautiful combination! Does Jane Phillips have any scent to her? I have some iris that look rather like that, and they smell like grape jam. I am on a quest to identify the half-dozen or so iris varieties in my garden that I’ve inherited from various sources. Thanks for the visit; we seem to enjoy the same types of flowers. Jane Phillips is scented but I confess that in all these years I have never tried to analyse the smell. If the wind drops this evening I shall sniff some and report back!